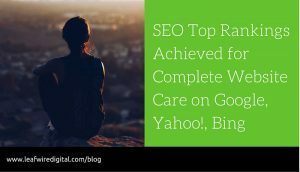 Here is an easy to implement step-by-step SEO success recipe that will make your website SEO-friendly and will give it a sizeable boost in rankings. 1. Give every single page on your website a title. Do not put the same title everywhere. Use a relevant title that pertains to the content of the specific page. 2. Make sure your page title has the keywords that you want your customers to find you by when going to Google search and typing what they are looking for. 3. Give every single page on your website a description. Do not put the same description everywhere. Use a relevant and unique description that summarizes what te content on your page is about. 4. Make sure your page description has the keywords you want your customers to find you by when doing to Google search and typing what they are looking for. 5. Place relevant keywords in the meta tags of every single page on your website. 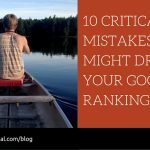 They say that Google, Bing and Yahoo no longer follow the cues provided by the keywords, but you can never be quite sure how their algorithms work. My theory is – better safe than sorry. 6. Give every single internal link on your website a title. Yes, every single internal link. Make sure the title has the relevant keywords that you are competing for. 7. Give every single image on your website a suitable title. Certainly not a title like “image”, but a descriptive title that highlights your service, product, company strengths, customer, capability, etc. 8. 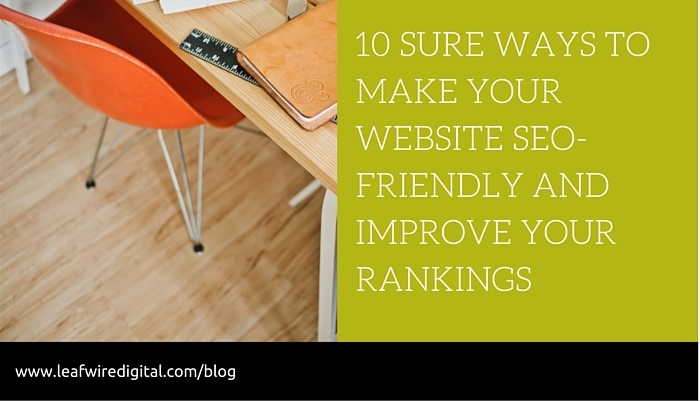 Make sure your website copy has between 5 -10% keyword density. 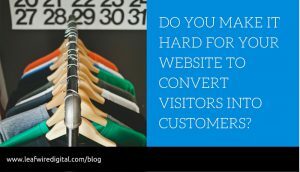 Density as in how many times the keywords you are competing for can be found inside the content of your individual web page. As an example, if your page has 100 words, then the math should be pretty easy, right? 9. Make sure you do not fill your pages with clusters of keywords, placed on your page, page description and title without any order or logical consequence. Keyword cramming is a well-known crime to the search engines, and they penalize the guilty parties very, very seriously, no exceptions. Just write relevant text and try to put your relevant keywords in your headings, in bullets and very close to your internal links instead. Oh, and you can use keyword synonyms too – that helps improve the quality of your website copy. 10. Make sure the URL address of each of your web pages contains relevant keywords too. 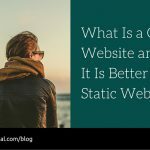 That helps with crawling and defining how easy it is to navigate your website. – Decide which are the keywords you want to compete for. Contextual 2-3 word keyword phrases are often better than just a single keyword. – Optimization is not an art; it is a straightforward process that takes a lot of work and diligence. If you take the time to implement everything as described, you might see positive results in as little as three weeks. If you are serious about improving the rankings of your website, you can learn more about the process from Google’s SEO guide, accessible for free here. 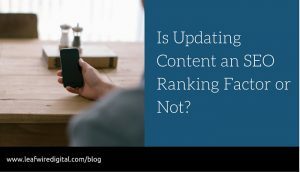 Fresh Content – a Positive SEO Ranking Factor or Not?